National Tailgating Day represents an entire season of awesome game day experiences! It encompasses the perfect blend of tailgating traditions with new and innovative ways to eat, drink and cheer on your team to victory. Did we mention that pound for pound, Hungry Fans consume more tailgate food per year than holiday food on Christmas and Thanksgiving combined? Oh yeah. Check out some crazy fun tailgate recipes that rival our favorite (foodie) holidays. 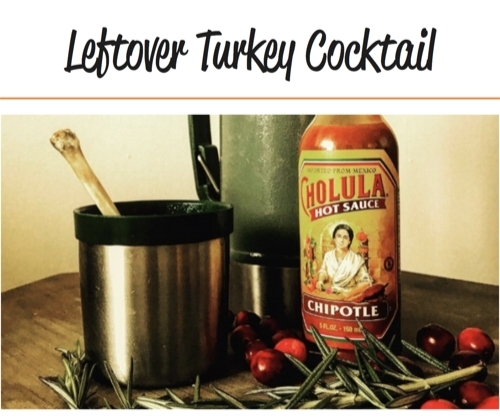 The best of both worlds: a use for Thanksgiving leftovers + hair of the dog on Game Day. National Tailgating Day kicks the season off with a clean slate—we’re thus far undefeated and full of hope that this is the year our favorite team takes home the championship. We proudly sport our jerseys. We deck out our trucks and even our smokers in team colors and logos. And we rock the game day march. Check out some of our favorite game day gear for your 2018 tailgate season. National Tailgating Day 2018 is an action-packed Saturday with over 20 games and 3 races that is expected to reach over 200M people nationwide. If you’re looking to tune in, be sure to check out the game day schedule below and get your tailgate on from the parking lot, your favorite watering hole or from home. All schedules courtesy of The Washington Post. Tailgating is an American pastime. It’s what we do. We excel at it. And in the process, we make new friends, we share memorable experiences, we break bread communally and we engage in a kind of camaraderie that’s hard to find anywhere else. We here at Hungry Fan® want to see how you tailgate with your friends and family. Sharing means caring so be sure to #HungryFan your game day experiences, #HungryFanFood your tasty game day nom noms or submit your tailgating inspirations here for a chance to win some delectable National Tailgating Day spice rub. Happy National Tailgating Day 2018, Hungry Fans! Could You Follow a Premier League Player’s Diet?